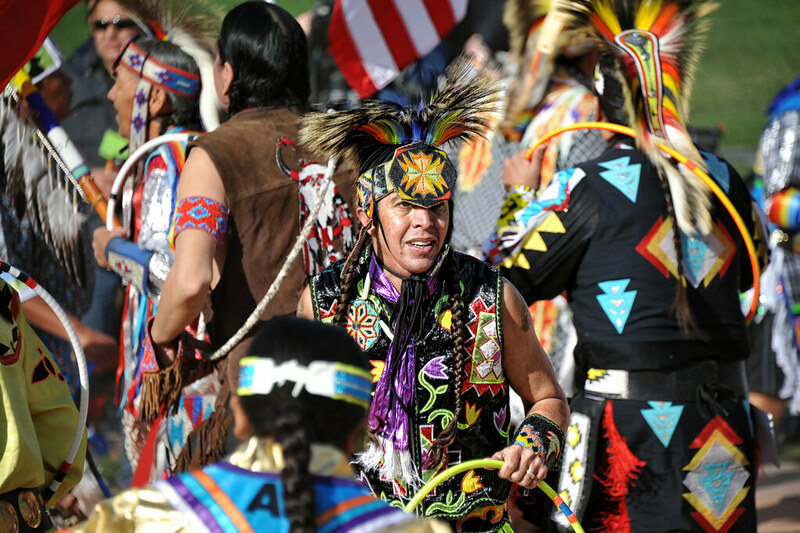 I had a great time shooting at the Native American World Hoop Dancing Championship held yesterday (continuing today) at the Heard Museum in Phoenix, AZ. It was a perfect opportunity to get acquainted with the new camera (Nikon D700) and the new zoom lens (Nikon 28-300mm F/3.5-5.6G). I was sitting about three rows back from the edge of the dance area, maybe 20 yards from the center of the ring. The day’s festivities started with the Grand Entrance, when all the dancers lined up and paraded through the crowd and into the ring, led by three men carrying the Eagle Staff and the flags of the United States and Canada. As they came into the ring, they formed a spiral of dancers, stirring up a small cloud of dust. It was quite dramatic, colorful and a lot of fun to watch. I tried to use that opportunity to practice selective focusing, selecting a specific subject in the crowd of dancers. I set the camera to shutter-priority because I needed a fast shutter speed to capture the fast-moving dancers. I was using a little higher ISO (320) to obtain the fast shutter speed, balanced with a little deeper depth of field. This shot is one of my favorite from the Grand Entrance. I was shooting in JPG mode only because I knew I was going to be shooting a LOT of images and I wasn’t sure how much memory the raw files would eat up…besides, this was just a practice run. The sun was behind me, shining directly in the face of the dancer, which caused a little loss of detail. I used Topaz Adjust selectively on the central figure to restore some of the detail back to his face and his clothing. It still looks a little bit over-processed to me, but better than the original. I finally got a chance to start processing some of the photos from this past weekend, and I started with the ones of Montezuma Castle. 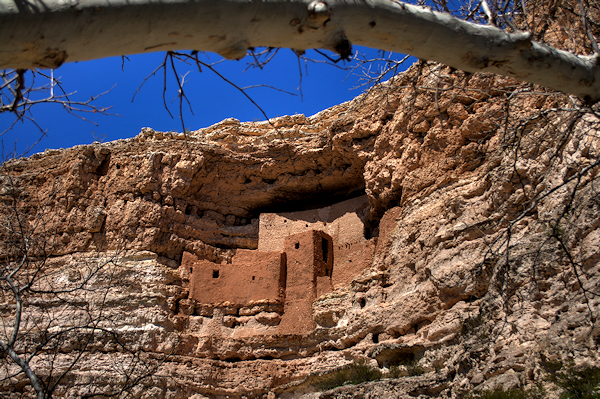 For those who are unfamiliar with this National Monument (operated by the National Park Service), Montezuma Castle is a well-preserved cliff dwelling that was constructed by the Sanagua people around 700 A.D. It was occupied until around 1425 A.D. It’s a five-story, 20-room brick and mortar structure that housed around 50 people. When European Americans discovered the site in the 1860s, they named it for the Aztec emperor of Mexico Montezuma II, due to mistaken beliefs that the emperor had been connected to its construction. I decided to do all my shots in bracketed series of three (-2.0 / 0 / +2.0). Fortunately, the Park Service allows you to use a tripod, so it wasn’t at all difficult to setup for a nice series of shots from multiple angles. I started out with my normal lens (18-55mm) to get some shots of the cliffside, but I quickly switched to my telephoto lens to get some close-ups of the details of the structure. I’ve started processing the shots as HDR’s using Photomatix and Paintshop Pro X3. I had already done one this past weekend (see my last post), and I’ve done four more tonight. 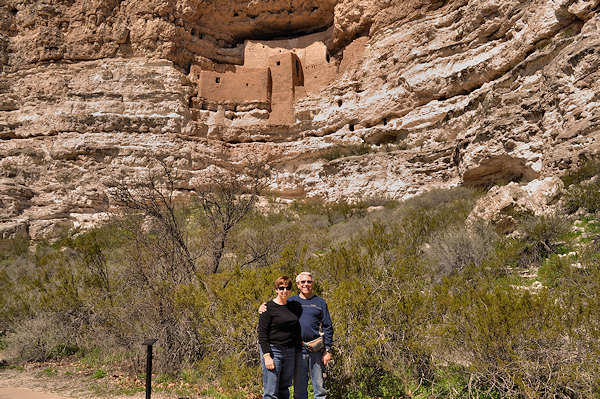 They are uploaded to my Flickr site in the set titled “Montezuma Castle“. I’ll be adding more to the set later this week, but I’m satisfied with what I’ve seen so far. I even have some decent shots from my old 125-300mm zoom (non-autofocus), so I’m anxious to get them all out there. 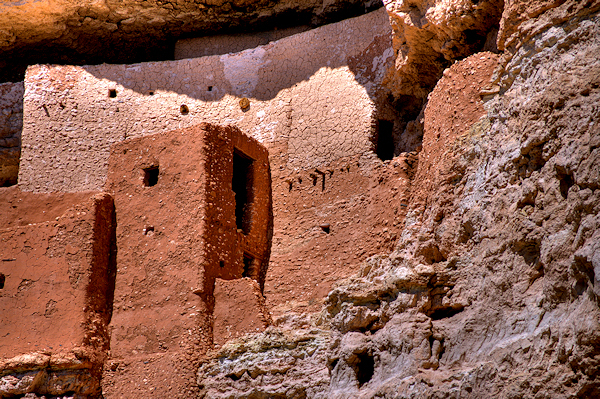 If you’ve never visited Montezuma Castle National Monument, I highly recommend it. The entry fee is $5, and it’s easily accessible to people of all ages and physical conditions. Right now the trees are mostly bare, but I’ve also been there during the summertime when the trees are in full leaf, and it makes a beautiful contrast of color against the white cliffs and the blue sky. I do want to go back in the fall when the leaves are in their fall color!